Which Renewable Energies Do We Use Most and At What Cost? 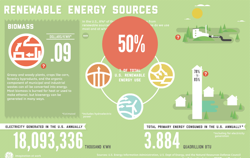 In the U.S., only about 8 percent of all energy use comes from renewable sources. Petroleum is currently our largest consumed source of energy (37 percent), with natural gas (25 percent), coal (21 percent), nuclear power (9 percent) and renewables following behind.